Foggy, snowy, icy days. These are my favorite days to get out in the field and photograph. The fog, snow and ice can transform familiar landscapes into magical anonymous locations that transform to the unfamiliar. 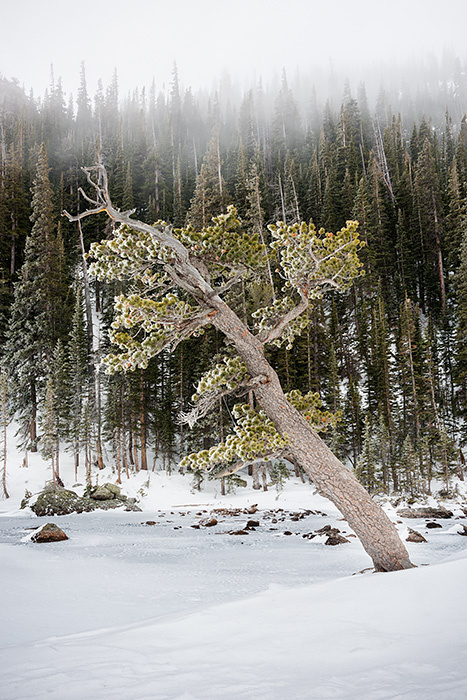 Dream Lake is photographed often and is without question one of the most beautiful locations in both Rocky Mountain National Park as well as the state of Colorado. With that being said, foggy days like these allow the creative juices to flow and the ability to create images normally not present during sunny and clear mornings. . Photo © copyright by Thomas Mangan.